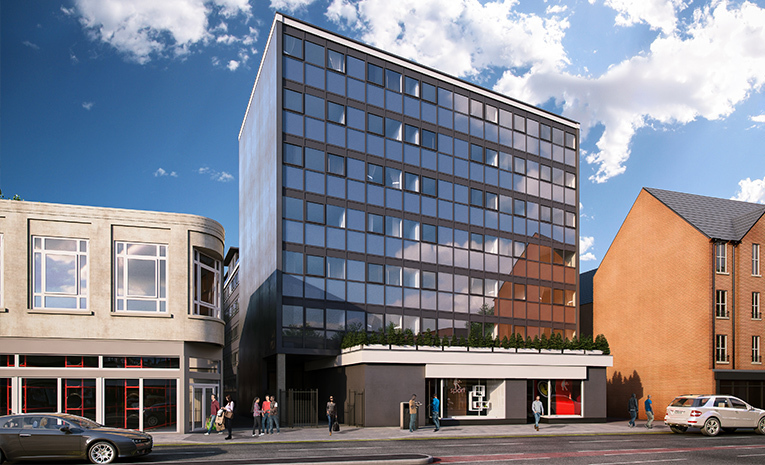 Fresh Invest is delighted to offer an opportunity to invest in an exclusive development located in central Norwich City Centre. Named in top 20 buy to let hotspots! Ideally positioned on one of the primary routes in and out of the city centre, This development is in an excellent position to take advantage of Norwich’s expanding infrastructure and local amenities. The developer is offering investors up to 8% projected Annual Yield on this fantastic residential development. This development is only five minutes walk from the Riverside Entertainment Complex, Norwich’s all-encompassing, 7-days-a-week entertainment juggernaut that houses branches of popular restaurant chains, a 24/7 Fitness outlet; accommodating local gym-goers at all hours of the day, an indoor trampoline park, Odeon Cinema and a Hollywood Bowl. Norwich recently picked-up second position in a table of most desirable British regions to live in. Providing ease-of access to some of Norwich’s most popular bars and restaurants as well as Norwich Railway Station and the city centre; This development is perfect for students of the nearby Norwich University of Arts and University of East Anglia, as well as professionals working in the Norfolk area. Norwich city centre is also host to one of the country’s leading shopping cities, with two malls, a range of department stores, boutique businesses, quirky independent shops and the UK’s largest open-air market. People flock from afar to spend a pretty penny or two in the quaint city. Norwich enjoys excellent connectivity links to surrounding areas and major domestic cities, particularly via rail. Just a 300 yard walk from the development is Norwich Railway Station that runs half-hourly direct services to London with less than two hours travel time. The station also serves Liverpool Lime Street to the north via Manchester Piccadilly, offering tenants accessibility to some of the major players in the Northern Powerhouse. Norwich is connected to the surrounding towns of Great Yarmouth, King’s Lynn and Peterborough via the A47 road to the south of the city centre. Cambridge is accessible via the A11 motorway that links up to the larger M11 motorway, offering commuters the opportunity to reach London via road. 19.3% – Return on Capital invested. *Any mortgage rates given are only an indication and cannot be relied on to be representative of current products available. For more details please consult your mortgage broker or we can put you in touch with one.